Davis delivers bold business strategy rooted in forward-thinking risk management. This book is about changing how leaders think so they can run their business with confidence, effectiveness, and profitability. It shows struggling entrepreneurs how to weed out the stupid mistakes they’re making, so they can move forward. 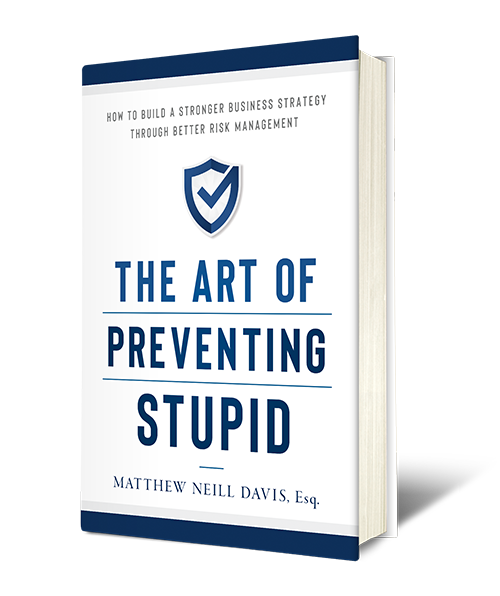 For those already running a business, Davis’ next-level risk management strategies make work easier, more profitable, and more secure. 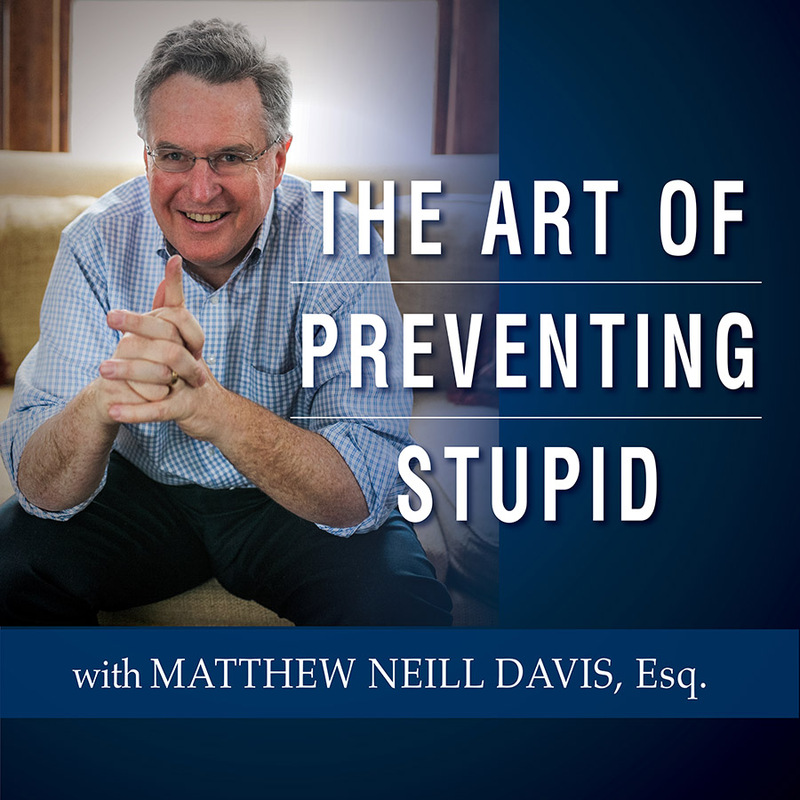 In this video, Matthew Neill Davis introduces the Preventing Stupid Method to running a business, a method that guides readers in identifying, categorizing, and prioritizing threats to and weaknesses in their business. We know running a company gets busy. That’s why Matthew offers podcasts — at your convenience, on your time.